Mexican celestial tile mix is very unique and not that easy to come by. 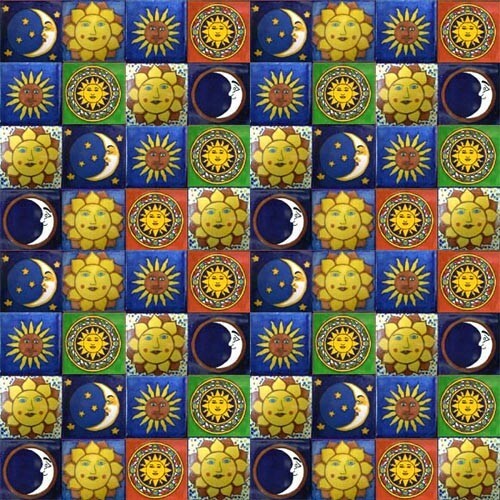 Those are tiles depicting a multitude of sun images, moons and stars in various colors and backgrounds. The best selling celestial tile design is Mexican creamy white color pattern hand painted over dark blue simulating night sky. beautiful designs, perfect for my decoration, arrived perfect, nicely packaged and just in time.